It’s twenty years since Stuart Jane and I made this book for Thames and Hudson. 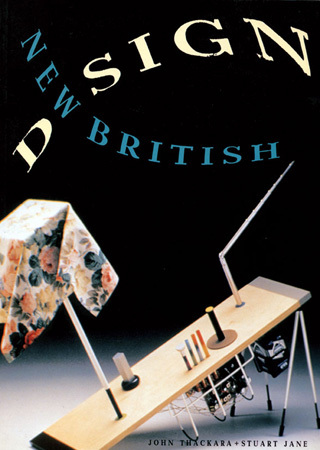 One of the bright young things whose work we put in a book for the first time was James Dyson. By 1986, his patented G-Force vacuum cleaner was being produced in Japan but was not selling well. That early version was tall and garishly pink – great for publicity photos, but less so for high street sales. Daniel Weil, who designed the deconstructivist radio we used on the cover, was a constant headache for his tutors at the Royal College of Art. (He is now a partner at Pentagram). We also featured a young designer called Ron Arad; he was turning the seats of old Rover cars into collectible chairs. Perhaps the first person to varnish concrete, Arad sold his heavy and often lethally pointed furniture from a shop called One Off in Covent Garden. An architect called Nigel Coates, a young star at the insanely trendy Architectural Association, had already incorporated an aircraft wing into a Tokyo night club. We also met an angelic-looking guy called Tom Dixon who made chairs out of salvaged plumbing parts and drove around London in a Mark 10 Jag. The understated genius of that generation was a quiet young man called Jasper Morrison; the technical quality of his work shone through even then. But my most startling memory by far from that project was when Stuart told me to check out the graduating catwalk show of a St Martin’s fashion designer. John Galliano’s coup de theatre remains one of the most extraordinary performances I have experienced; those few minutes with will never leave me. This entry was posted in rules & unsolicited advice. Bookmark the permalink. Trackbacks are closed, but you can post a comment.